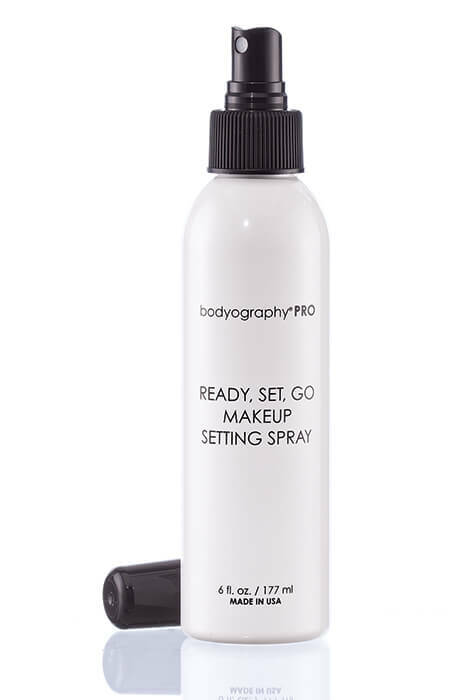 Set makeup, control oil and shine and refresh makeup throughout the day with this Bodyography® Ready, Set, Go Makeup Setting Spray. Apply before and after makeup application to prep and set your makeup look. Perfect for all skin types in all climates. To set makeup after application, hold approximately 10 inches away from face, close eyes and spray 1-3 times. To set makeup after application, hold approximately 10 inches away from face, close eyes and spray 1-3 times. To set makeup after application, hold approximately 10 inches away from face, close your eyes and spray 1-3 times. I wanted to try it. It says it would do what two separate items I was going to purchase would do. And the price was much better! Just to see if it actually works.